More and more Republicans are turning on the President and refusing to authorize the border wall. Rep. Will Hurd just returned from a trip to Central America and is demanding that Congress block the wall and use the funds to increase foreign aid instead. They must be stopped right here and right now! Please, send your instant FaxBlast to Congress and stop the GOP from blocking the wall and giving away the funding to foreign countries! President Trump has secured a new trade deal with Mexico. Instead of American wealth being drained, this deal will help American companies keep tens, if not hundreds, of billions of dollars. That means billions more in tax revenues. Just like that, President Trump got Mexico to indirectly fund the border wall. It's not an issue of funding anymore. Billions more dollars will stream into the Treasury from Mexico because of this trade deal. You have all the funding you need to authorize the border wall construction. So why aren't you doing that. Right now, the Senate version of the Homeland Security Appropriations Act appropriates no funding for a border wall. It authorizes fence construction and expansion, but no border wall projects. Not wanting to get into a fight with the Senate, Paul Ryan is promising to strip the wall funding from the House version as well. What is Congress planning to do with this new revenue instead? 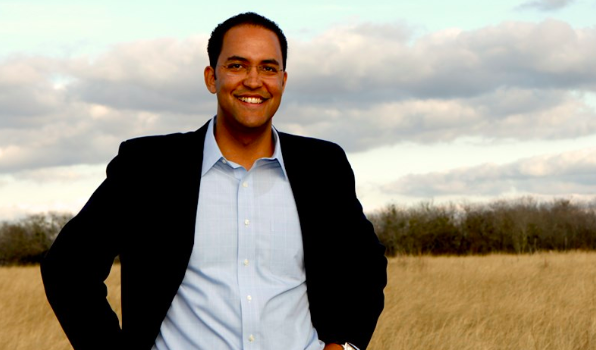 Rep. Will Hurd (R-TX) is demanding that Congress block the wall and increase foreign aid spending to Central and South American countries instead. Instead of helping protect Americans, Hurd wants to use these new tax revenues to help the very countries that are sending us illegal aliens. It's absolutely shameful. If you think you can get away with this and win re-election, you are badly mistaken. Any Congressman or Senator who blocks the border wall funding in this year's spending package will be removed from office. That is a promise. President Trump has done his part. He has secured a trade agreement with Mexico that will totally fund the border wall by correcting trade imbalances. You don't have any more excuses for inaction. Fund the wall, or else. And if you even think about increasing foreign aid to these countries instead, you will be kicked out of Congress before you even know what hit you.